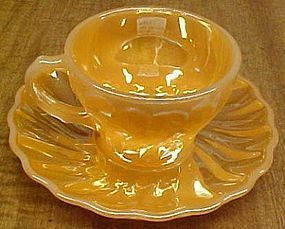 This Lustre colored Shell Demitasse Cup and Saucer were made by Anchor Hocking. The Cup and Saucer are both in very good condition with no chips or cracks. The Cup is signed ANCHOR HOCKING FIRE KING 21 MADE IN USA. We guarantee all items as described. Feel free to email with any questions. THANK YOU. This really pretty opalescent Moonstone depression glass Creamer and Sugar Bowl were made by Anchor Hocking Glass from 1942 to 1946. The Creamer and Sugar measure 3 1/2 inches high. They are both in very good condition with no chips or cracks. See our other Moonstone available. We guarantee all items to be as described. Feel free to email any questions. THANK YOU. 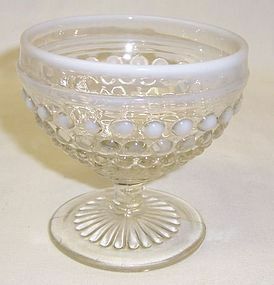 This really pretty opalescent Moonstone depression glass Footed Sherbet was made by Anchor Hocking Glass from 1941 to 1946. 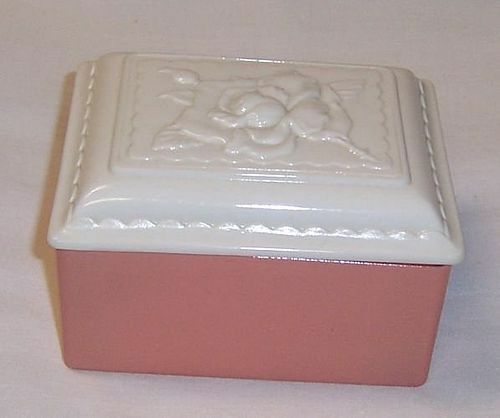 This Sherbet measures 3 1/4 inches high and is in very good condition with no chips or cracks. See our other Moonstone available. We guarantee all items to be as described. Feel free to email with any questions. THANK YOU. 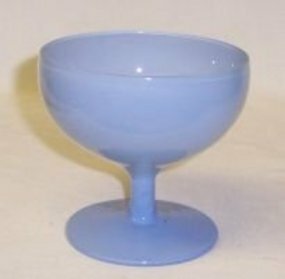 This is a really nice Fired On Blue Rainbow 3 1/4 inch high Footed Sherbet made by Anchor Hocking from 1938 to the 1950s. 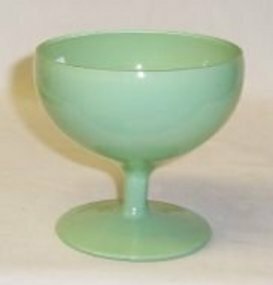 This Sherbet measures 3 1/2 inches in diameter at the top and is in very good condition with no chips, cracks or scratches. The finish is very shiny. Be sure to search our other Rainbow glass available. We guarantee all items to be as described. Feel free to email any questions. THANK YOU. 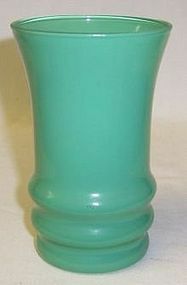 This is a really nice Fired On Green Rainbow 3 1/4 inch high Footed Sherbet made by Anchor Hocking from 1938 to the 1950s. This Sherbet measures 3 1/2 inches in diameter at the top and is in very good condition with no chips, cracks or scratches. The finish is very shiny. Be sure to search our other Rainbow glass available. We guarantee all items to be as described. Feel free to email any questions. THANK YOU. 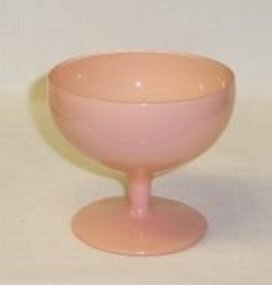 This is a really nice Fired On Pink Rainbow 3 1/4 inch high Footed Sherbet made by Anchor Hocking from 1938 to the 1950s. This Sherbet measures 3 1/2 inches in diameter at the top and is in very good condition with no chips, cracks or scratches. The finish is very shiny. Be sure to search our other Rainbow glass available. We guarantee all items to be as described. Feel free to email any questions. THANK YOU. 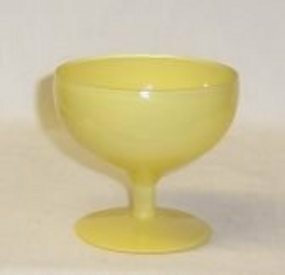 This is a really nice Fired On Yellow Rainbow 3 1/4 inch high Footed Sherbet made by Anchor Hocking from 1938 to the 1950s. This Sherbet measures 3 1/2 inches in diameter at the top and is in very good condition with no chips, cracks or scratches. The finish is very shiny. Be sure to search our other Rainbow glass available. We guarantee all items to be as described. Feel free to email any questions. THANK YOU. 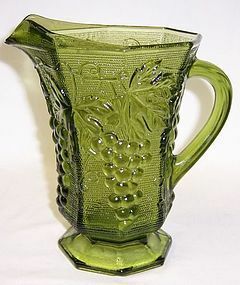 This pretty Vintage Green Avocado 16 Ounce Juice Pitcher was made by Anchor Hocking. 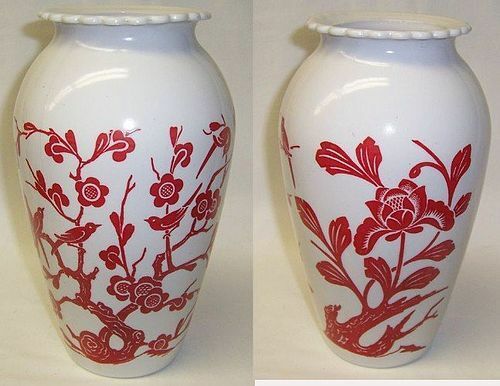 This Pitcher measures 6 1/4 inches high and is in very good condition with no chips or cracks. 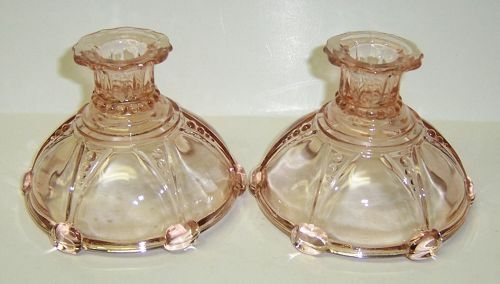 Be sure to search our other Hocking glass available. We guarantee items to be as described. THANK YOU.